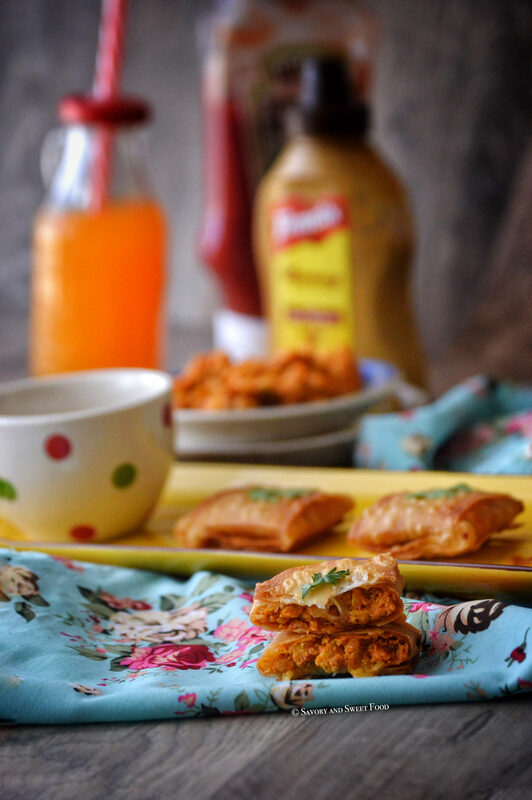 A very unique and yummy chicken filling packed inside samosa sheets in the shape of small parcels. These chicken parcels look very impressive and cute, a variation to the usual triangle shaped samosas. So the countdown for Ramadan has begun. Only 3 more days left!!! I am very excited and also a little tensed, hoping I can do proper Ibadah this Ramadan, hoping I can utilise this lovely month to the fullest without wasting time. One usual way to welcome Ramadan for me is by thoroughly cleaning my home, as I love to start this holy month with freshness and cleanliness. I am all set that way, my house is squeaky clean now and I feel too good, really. 😀 I have changed a bit of the decor here and there in my home and we love it. 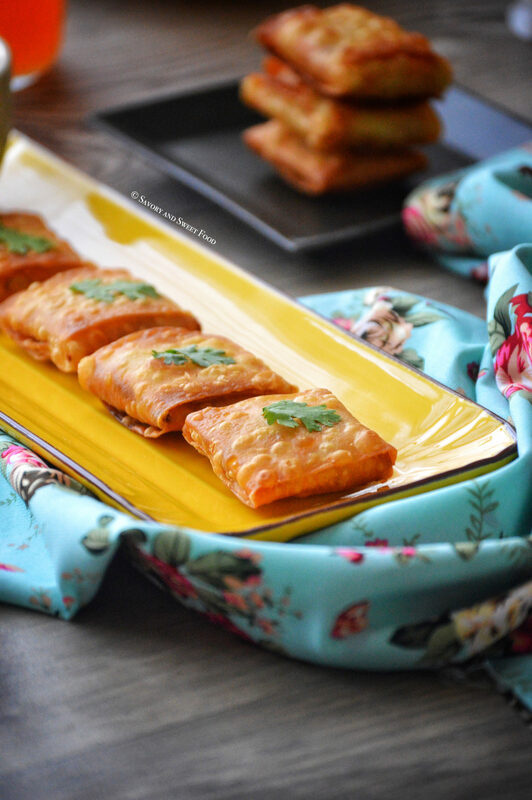 I am done with my Ramadan grocery shopping too and I loaded my freezer with frozen puff pastry, spring roll sheets, filo dough, kanafe dough and of course samosa sheets. I am sure most of your freezers are stuffed with these characters too, hehe! That is one sign that Ramadan is here, isn’t it? Do not keep the heat to high while frying or the sheet will change color quickly, you want a nice golden coloured parcel. So maintain the heat at medium high. Make sure that you seal the holes in the corners of the parcel or else the oil may enter into it while frying. 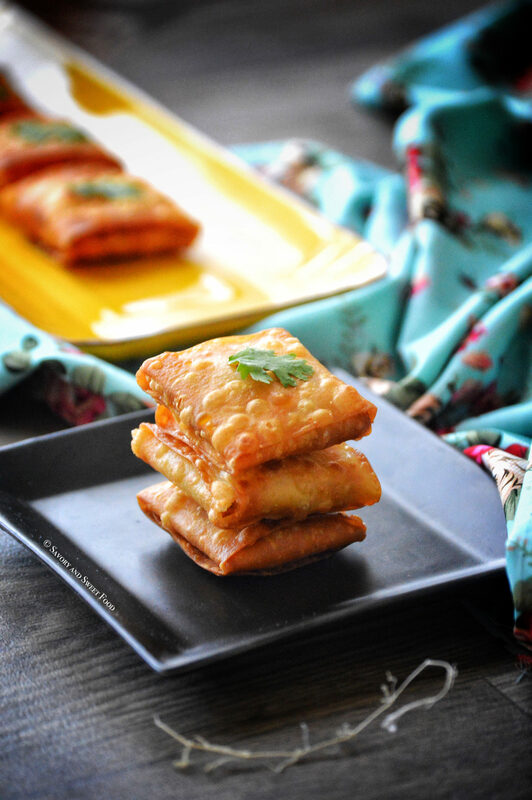 I have used the mini samosa sheets, so I got about 15 of them, but if you are using the standard size samosa sheets, you will get lesser number of these parcels, but each will need more filling. You can easily make this ahead of time and freeze it. 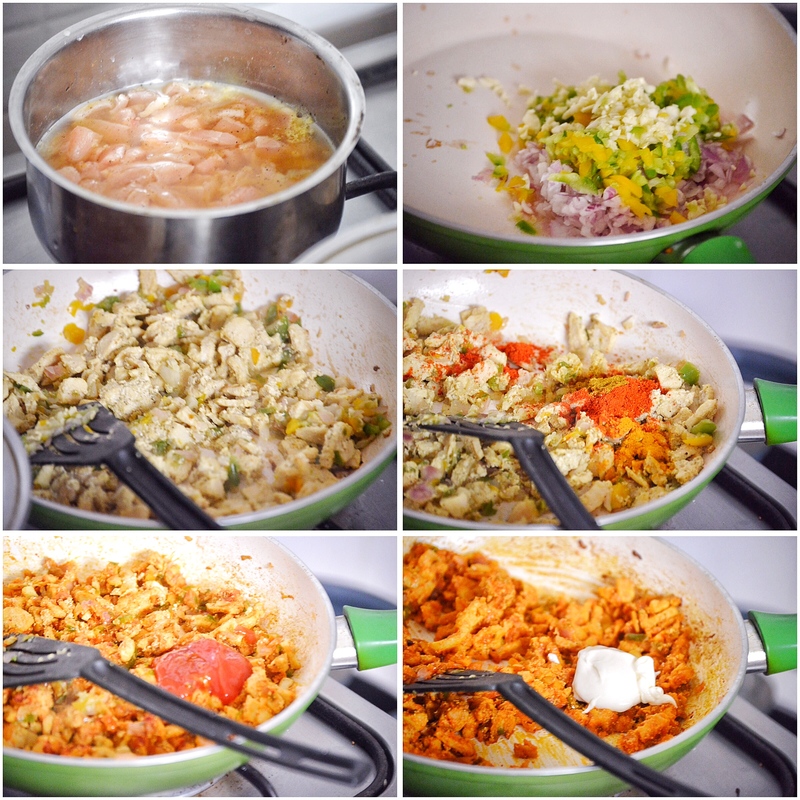 In a pan, add the chopped onion, garlic and capsicum. Sauté well till it turns soft. Add in the cooked chicken. Mix well. Next add in the chilli powder, turmeric powder, curry powder, salt and sweet chilli sauce. Mix well and cook for a minute. Then pour the ketchup, mix. Then add in the mayonnaise, mix everything to combine. turn off heat. 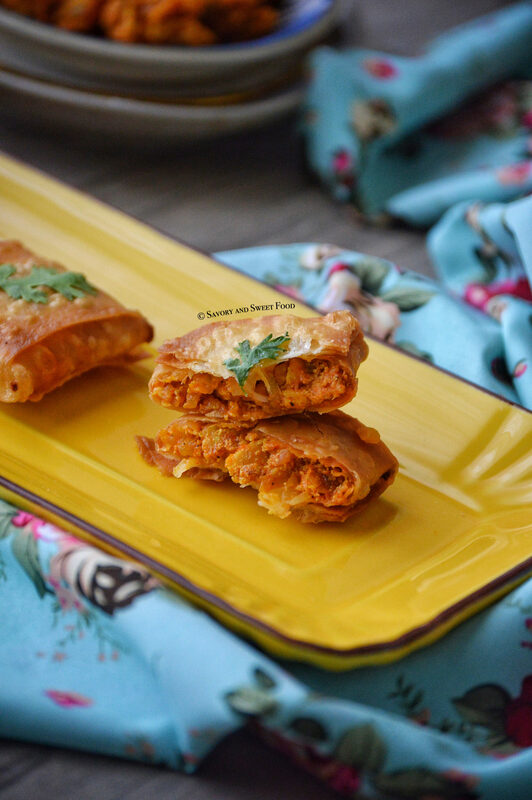 Take two samosa sheets. Place one sheet vertically and place the other sheet horizontally on top of this. Place the chicken filling in the center. Add shredded mozzarella cheese on top of the chicken. 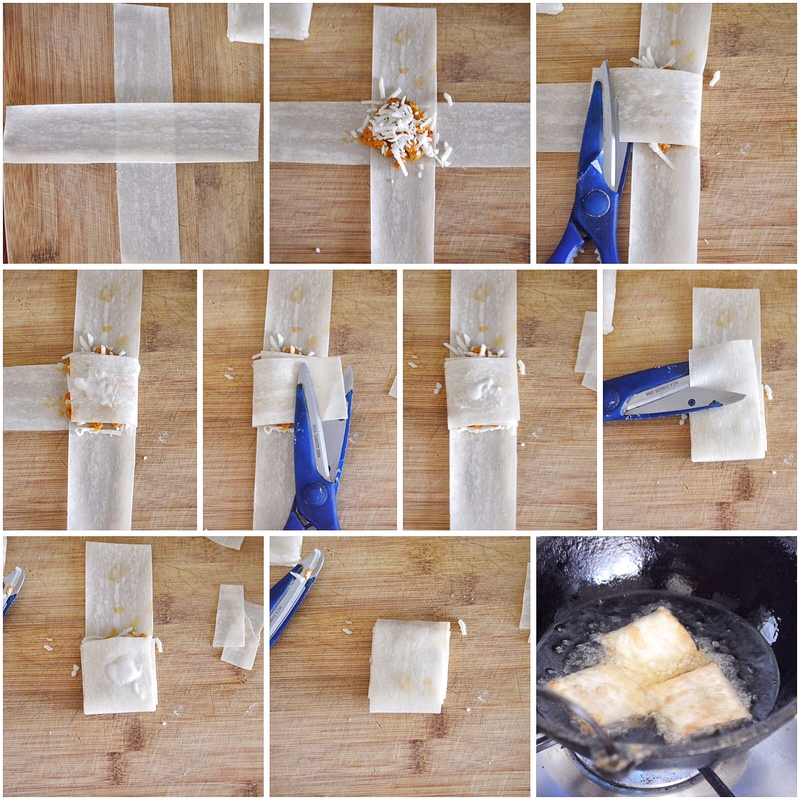 Cover the filling by flipping one side of the sheet. Cut the excess sheet off. Spread a little amount of paste on top of the folded side. Next flip the adjacent side sheet on top of the previously folded part and again cut off the excess. Again spread a little paste on top. Then flip the other two sides too similarly, and you will get a square shaped pack. (Check the pictorial for easy understanding). Seal the holes in the corners with the paste. Deep fry till golden brown in color. 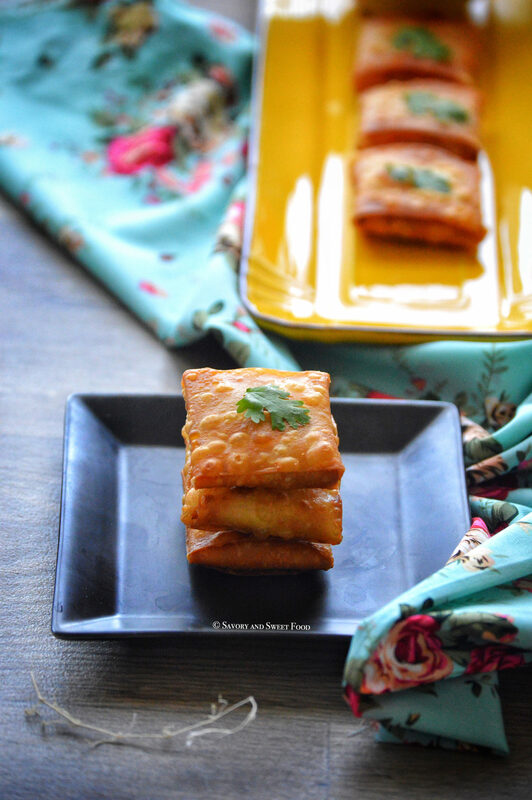 Pull out two samosa sheets. Place one sheet vertically and place the other sheet horizontally on top of this. Next flip the adjacent side sheet on top of the previously folded part and again cut off the excess. Again spread a little paste on top. 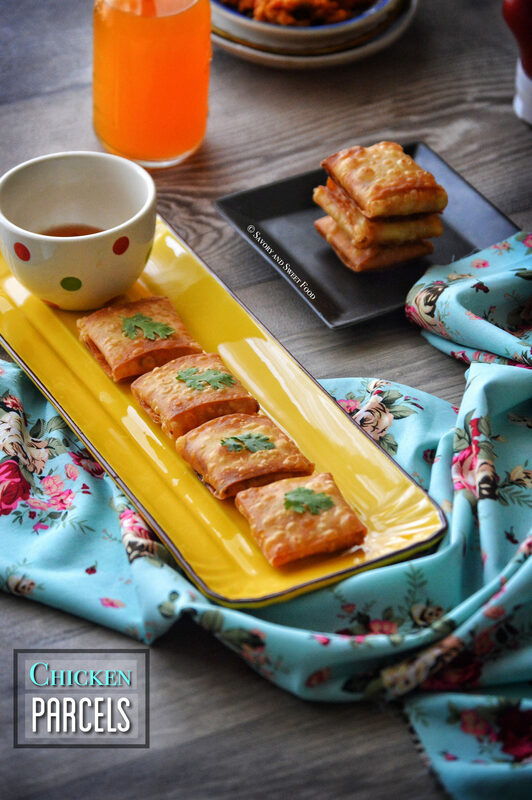 Cute litle parcels!vl try for sure In sha Allah! Thank you Rafeeda! Yess it is really easy. Thank God for these readymade frozen pastries. Tried it. It tasted very good..loved by all the members of my family. I like all ur recipes.keep up the good work!!! Thank you soo much Niks! Soo happy. Yaay! Alhamdulillah. Happy you liked it. 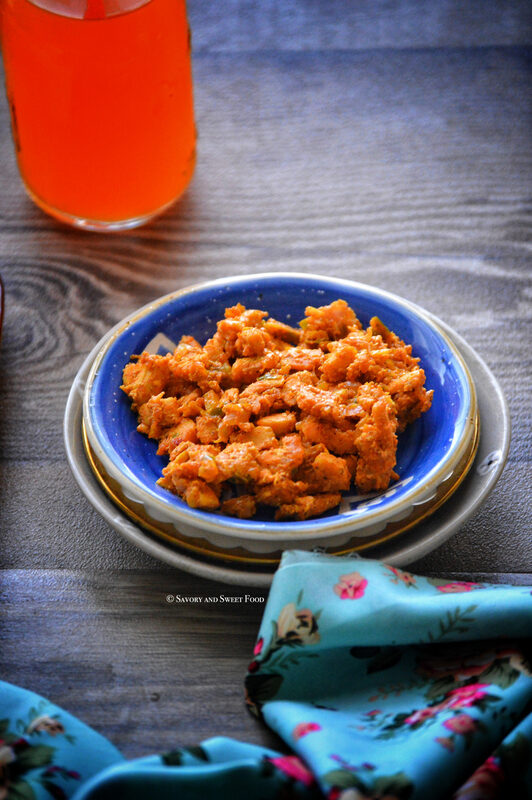 I tried this twice at home…Very tasty ..
You can use any curry powder Shabina. I use McCornick brand. I tried it today for iftaari..taste was yummy..